Forest Drive is located on the western edge of Frisco just off the city's Main Street. It sits on Tenmile Creek and is just east of the North Tenmile Trailhead. Head down Main Street to visit shops, restaurants and take part in local festivities. Visit the Frisco Historic Park and Museum or Frisco Adventure Park. Bike paths and trails run throughout Frisco and all of Summit County. The Summt Stage bus can take guests all over Summit County. Enjoy the great outdoors visiting Tenmile Creek or taking advantage of bike paths and trails that run throughout all of Summit County. Head down Frisco's Main Street for shops, restaurants and local festivities. Visit the Frisco Historic Park and Museum or Frisco Adventure Park. 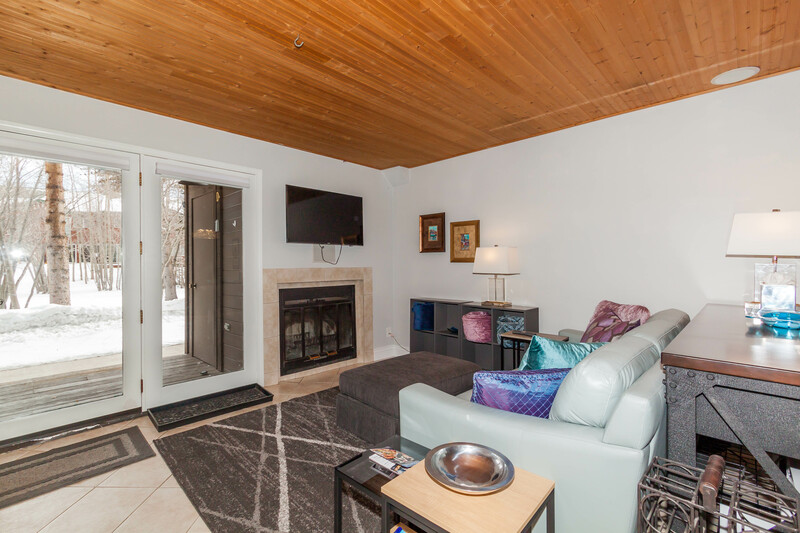 Easy access to ski areas including Keystone, Arapahoe Basin, Loveland, Copper Mountain and Breckenridge. 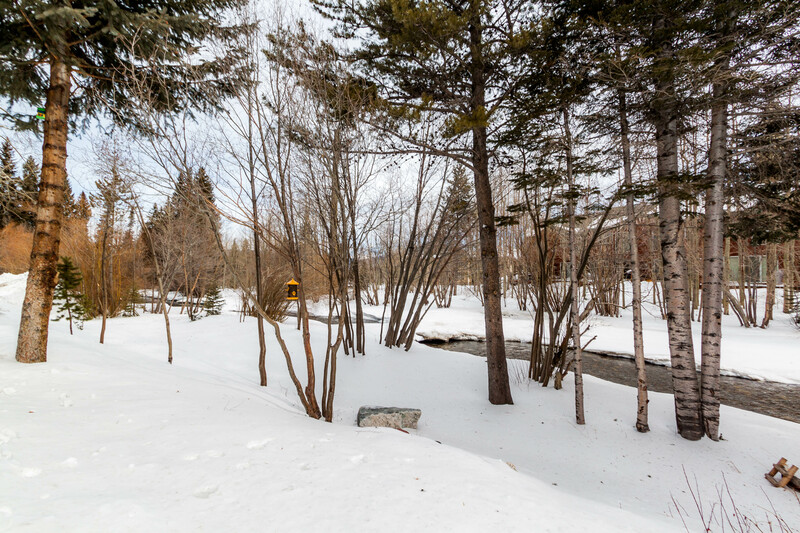 Spacious ground floor studio condo with high-end finishes throughout and a private patio that looks out onto Tenmile Creek. Beautiful wood-paneled ceilings and bed is set off from main living area.